The Ohio Supreme Court ordered the Delaware County Board of Elections on Tuesday to remove the Harlem Township Referendum from the November ballot. “Upon consideration thereof, it is ordered by the court that a writ of prohibition is granted, and it is further ordered that Delaware County Board of Elections remove the township zoning referendum from the November 2018 ballot, consistent with the opinion rendered herein,” stated the order by Chief Justice Maureen O’Connor with concurrences from Terrence O’Donnell and Justice Mary DeGenaro. Justice R. Patrick DeWine concurred in judgment only, with an opinion joined by Justice Patrick F. Fischer. Justice Sharon L. Kennedy dissented with Justice Judith L. French joining in the opinion. “I’m disappointed,” said Brittany Bowers, one of the originators of the petition who was asking voters to overturn the Harlem Township Board of Trustees’ decision in March to approve the rezoning of a 13-acre property along Francher Road from agricultural to planned commercial. Bowers was seeking to halt the construction of a 500-unit self-serve kiosk storage facility proposed by property developers, Jim Gehring and Jeff Barr. Bowers now faces the reality of an 800-foot-long privacy fence being built the length of her driveway as proposed in Gehring and Barr’s building plan. The two properties are adjacent to one another. In earlier reports, Dennis McCann, the owner of the 13-acre property along Francher Road, said the sale of the land to Gehring and Barr was contingent on the approval of the rezoning, which trustees in Harlem Township signed off on earlier this year. Residents then gathered signatures on a petition for the purpose of having a referendum placed on the November ballot, asking the voters of Harlem Township to overturn the trustees’ decision to rezone the property. “I move to certify the referendum on HTZ-1709 to the ballot, reflecting 127 valid signatures as verified by office staff,” said Peg Watkins, a member of the Delaware County Board of Elections, during a May 24 board meeting. The board unanimously approved the referendum. Petitioners had submitted 174 signatures on the petition. They needed a minimum of 116 valid signatures for the referendum to be certified to the November ballot. At the request of Corey Colombo, attorney for Norma McCann and James Wheeler, protesters of the referendum, the board of elections held a protest hearing July 17. In the hearing, Colombo contested that there were two circulator statements, violating the state’s one circulator policy, and the part-petition was signed by the circulator before completing the count of signatures. Colombo argued that the circulator signed the paperwork before filling in the required signature count. However, Herman “Judge” Berk, the circulator, asked Bonnie “Susi” Perry, one of the organizers for the petition, to check his math on the signature count. Together, in the presence of each other, they double checked the signature count before filling in the number on the part-petition. At the conclusion of the hearing, the board stood by its original decision, allowing the referendum to be certified to the November ballot on the grounds that the protester’s argument did not hold merit. With no other options left, McCann and Wheeler filed a complaint with the Ohio Supreme Court, which ultimately decided to overturn the board’s decision to place the ballot on the November ballot. “We conclude that the board abused its discretion by denying the protest as to part-petition No. 2. The rejection of part-petition No. 2 brings the number of valid signatures to 99. Because the petitioners did not submit at least 116 valid signatures, the referendum cannot proceed to the ballot,” the justices’ decision states. “One of the frustrations we have here at the board of elections is the law in some cases is clear and in some cases, it is not,” said Steve Cuckler, Delaware County Board of Elections member, the day of the protest hearing. “The law itself, in my opinion, is gray, murky and not clear. It does not give local boards like ourselves clear cut fill out these forms, check these boxes and you’re good to go. 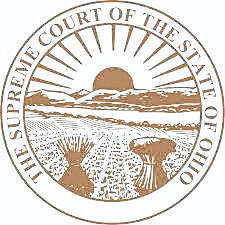 Likewise, the supreme court, with its history here in Ohio, has given us a smattering of different decisions. Policies are overruled or the law is not enforced because you don’t have a policy. I would like to encourage the supreme court to establish a framework or a test for local boards of elections to evaluate these types of petitions to mandate a specific clear direction. Ultimately, that needs to be codified as law,” he said. Wednesday, Perry said she had a call into their attorney Curt Sybert to call back hoping that there is still something that can be done to put the referendum back onto the November ballot. In the meantime, Perry said she has heard from neighbors who have stated they were going to sell their homes. This entry was tagged Brittany Bowers, D. Anthony Botkin, Delaware County Board of Elections, Harlem Township Referendum, Norma McCann, Ohio Supreme Court, Susi Perry. Bookmark the permalink.